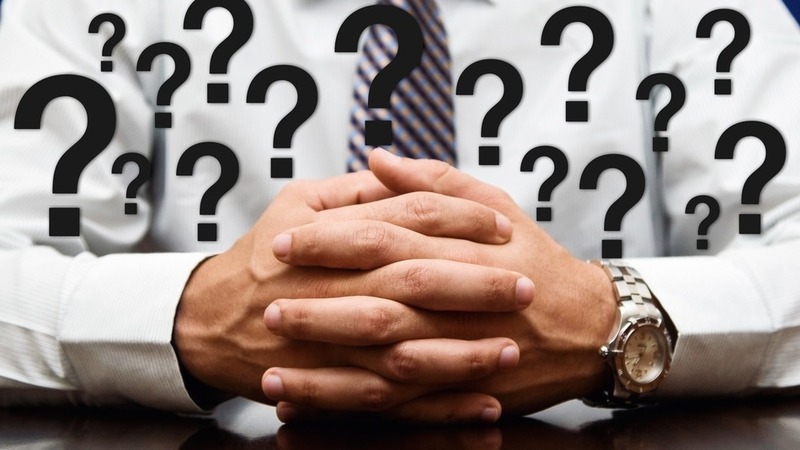 Today’s blog is specific interview questions to ask when hiring for an executive level role. Executive level roles can be defined loosely in different ways, but typically, we like to think of an executive level role as a vice president or above. Depending on the structure of your company, though, this could be a director level or above, again depending on the size and structure of your company. The point is, you should know if you’re hiring for an executive position or not. Hiring for executives can come with its own set of challenges. Executive roles tend to have very common threads with the things that are important about them. Typically an executive level role has a leadership or management responsibility, and this is something that’s important to be able to interview for. An executive level role also will tend to have responsibility over strategy, and oftentimes financials, as well, and will also typically be involved with making high-level decisions that have major business consequences. The following questions are not in any sort of specific order, as the order of importance could depend on what’s more important for you with this particular role. Positions are extremely custom, depending on the company. So there’s no such thing as the five best questions for executives across the board. One question that is certainly important is to ask the candidate about challenges they’ve had in the past and how they overcame them. You want to ask the question just like that. You want to say, “Tell me about some challenges or difficulties you’ve had in your previous positions, and then tell me how you overcame those.” Asking an open-ended question like this will give you a lot of insight, depending on how the candidate answers. The candidate will be giving you insight into what they consider challenges, first and foremost. Secondly, you’ll get to see how they think and how their brain works when it comes to overcoming those challenges. This is very important when it comes to hiring somebody at an executive level. Another really important question to ask is to have the executive walk you through their day-to-day responsibilities over a particular period of time. You might want to ask about previous roles or just their most recent role, whatever you feel is relevant. The point is that this is going to give you insight into what their day-to-day looks like and what they have been and are responsible for and what they have a track record doing. This is extremely important because you need to be able to map their experience and their ability to do the job. This is a great way to do this. This is a much better question to ask than, “Do you have experience with digital marketing?” That’s too easy to say yes. Have someone walk you through their day-to-day and be as detailed as possible. Another great question to ask the candidate is about their leadership and management style. You can first see how they describe themselves as a leader or a manager. Then you can ask them for examples. Maybe an example of how they impacted a winning team, or an example of how they turned around a losing team, or something of that nature. But what you want them to do is to give you examples of how they’ve applied their leadership and management style and what the outcome was. Another critical question that you can ask, and that we recommend with all executive hires as a part of the interview process, is to have that person put together a 30, 60 and 90 day plan of what they’re going to do in their first quarter at the job. You may need to provide them with certain information to do this, but this can be an extremely useful exercise, and will give you some real insight into what to expect when this person comes in on the job. Interviews need to go much further beyond how you feel about a person and how they answer questions. They need to go into and give you as much information on how somebody would actually execute the responsibilities of the job. This is a really great way to do that. A final critical question that we recommend be involved with all executive hires, and really all hires for that matter, is to talk to them about culture. You should have a defined company culture that includes core values, a mission statement and anything else that truly outlines the culture and personality of your company and of your brand. There should be a discussion as part of the interview around what this is. Allow the candidate to ask questions. Ask them questions. Find out how they feel about your company and your culture. Find out how they see themselves fitting in and how they would enrich and add to that culture. Hiring for culture-fit is one of the most challenging things. Someone who checks all the boxes from a technical perspective that doesn’t fit in from a cultural perspective is never going to last. So it’s important to have this as part of your interview process. The five above questions will give you a ton of insight into someone’s ability to be able to do your job, as well as how they would fit into the company. Combining them with potentially other technical questions and maybe other specifics about the job are going to give you a really powerful insight into whether this person would or would not be a fit for the role. If you’re able to apply these questions across multiple candidates, you’re truly going to be able to tell who’s the best fit. As a side note, we recommend using personality assessments, like the DISC assessment, as a supplemental piece to your interview process. These can help give some other insight into how people would handle the job.